Thank you to our customers who have helped make this happen! Above are the the real PHS Locksmiths. These are the only Locksmiths you will see at your door when you call us. NO ONE ELSE! We do NOT and never have used subcontractors. 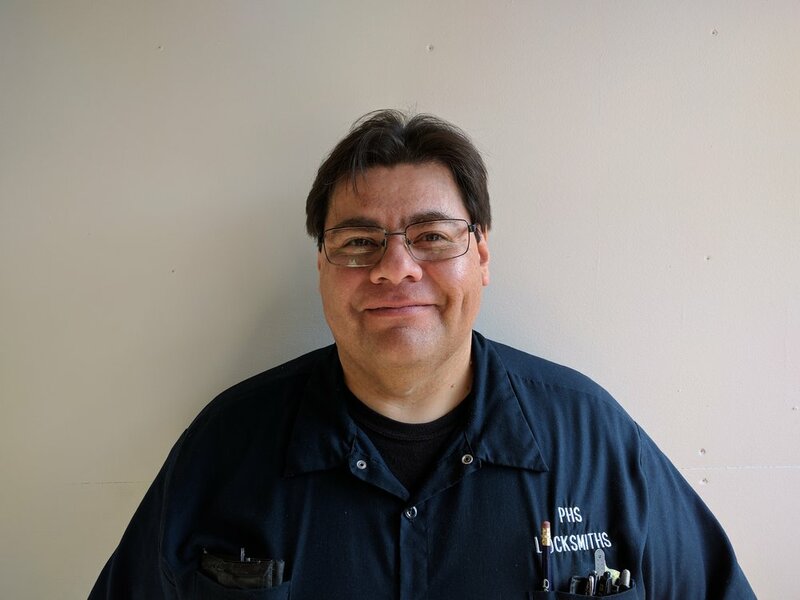 Our locksmiths will have, and can present either a Locksmith license or a Permanent Employee Registration Card (PERC) issued by the State of Illinois Dept. of Professional Regulation. PLEASE BE CAREFUL WHEN YOU LOOK FOR US ON THE INTERNET! We do NOT list any other phone numbers or addresses online or in any marketing material. If you think you've been a victim of this scam, you can file a complaint with your state's Attorney General's Office. (Illinois Attorney's General Office) In Illinois, you can also file a complaint with the Illinois Dept. of Finance and Professional Regulation. In Chicago you can also file a complaint with the Consumer Protection Agency. Consumer Alert! Finding Your Locksmith has just become more difficult. We recently heard from a consumer in Oak Park who had searched for our company on-line and thought she was calling us. Instead of us she reached someone who charged her over $400 for what should have been about a $125 job. Turns out she found a website that is listing our business information. However, this site is not affiliated with us in any way. They do not have our permission to list our business. And they post a price list that is not ours. We have been told there is nothing we can do because everything they are printing about us is correct public information. After researching this, we discovered at least one site that lists correct business information (address, phone number, hours, etc) for real locksmiths across the country. However, they put colorful buttons on the page next to the real locksmith's business listing. If you click on any of those buttons it takes you to a different company's page showing a different business name and phone number than the business you were trying to call. It also shows a very, very cheap price list. In the case listed above, the price charged the consumer was considerably more than those on that price list. Try to find someone in your area. Click on the locksmith's website, be sure it belongs to the company you are looking for. Ask for the company's locksmith license number and write it down. Keep track of the phone number you called. Always ask to see the locksmith license or employee ID and write down the License or PERC number. In the state of Illinois, locksmiths are REQUIRED to present this information if asked. Always get a business card upon the service person's arrival. 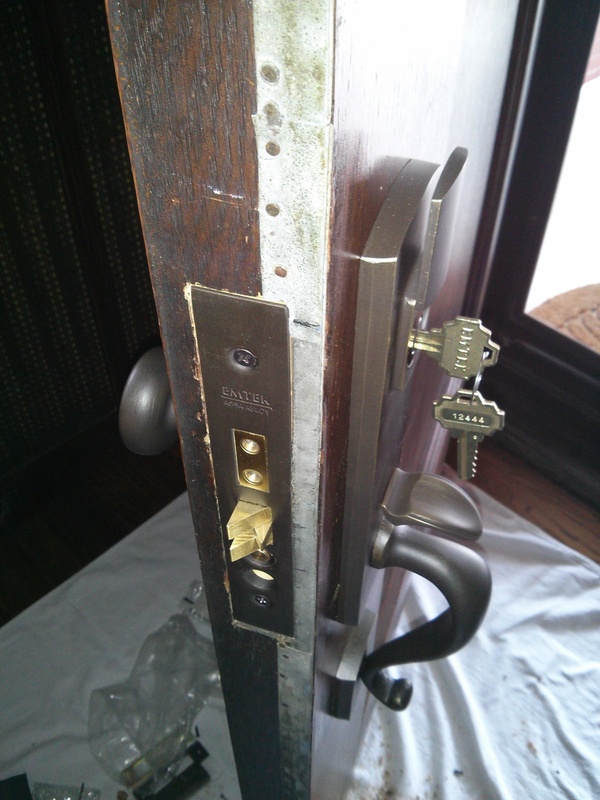 Always confirm all charges when the locksmith arrives and sees the job. Write it down. If anything doesn't feel right or they won't leave call the police. Do you think you are a victim of this consumer fraud? To file a complaint you will need to be sure who you called. Get a business card, make sure your receipt is itemized and has the company name, address and phone number on it. You can file a complaint with your state's Attorney General's Office. (Illinois Attorney's General Office) In Illinois, you can also file a complaint with the Illinois Dept. of Finance and Professional Regulation. In Chicago you can also file a complaint with the Consumer Protection Agency. 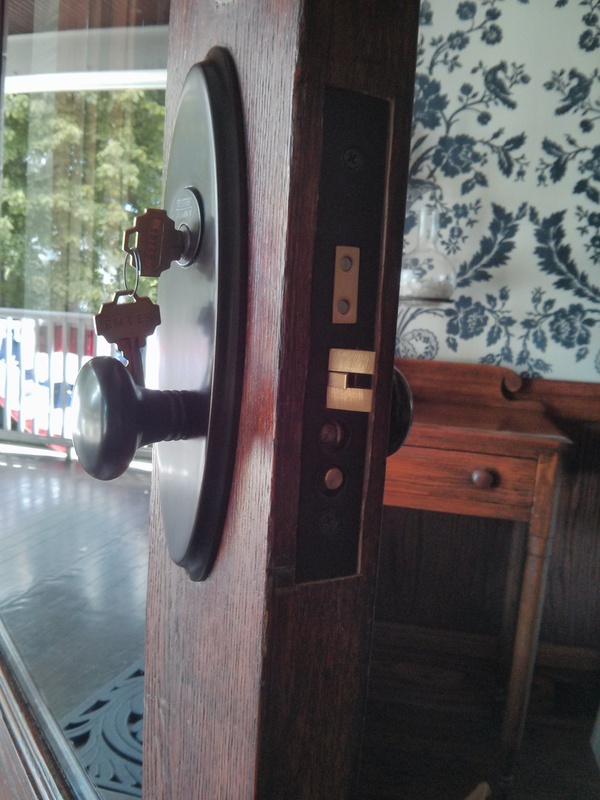 Over half of the homes in Oak Park, River Forest, and Berwyn have antique mortise locks on inner or outer doors. I doubt if the builders of these homes expected the locks they installed to last 75-100 years. But the locks have done just that. Now many are at the end of their life-time and parts to repair are becoming impossible to find. Fortunately, quality replacements are available. 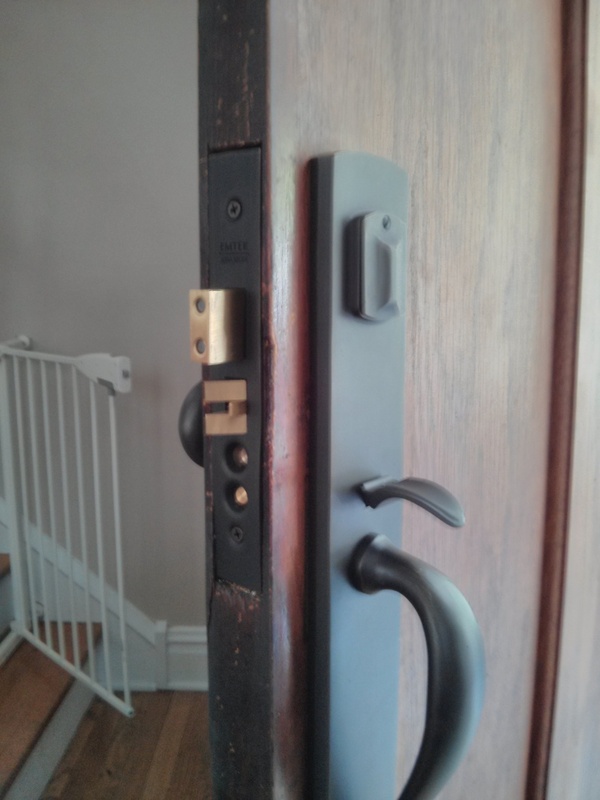 We have been very successful replacing them with quality Emtek Mortise Locks. Many designs, color finishes and knob styles let you choose a lock you like. The inside and outside trim and the lock mechanism are solidly made and have life-time warranties. Visit our showroom to see the quality of these locks.